Jersey is ranked the number one offshore jurisdiction in the Global Finance Centres Index and is rated as one of the best international finance centres globally by the IMF. Jersey’s reputation is second to none. It is ranked the number one offshore jurisdiction in the Global Finance Centres Index, a position it has held for eight consecutive editions, and was declared International Financial Centre of the Year in the Citywealth International Financial Centre Awards 2013. Following Jersey’s implementation of internationally agreed tax standards, it was one of the first international finance centres to be placed on the OECD ‘white list’. The UK Government gave a favourable report to Jersey under the British Crown Dependencies Review. Jersey has won numerous awards and is rated as one of the best international finance centres globally by the IMF. STM Fiduciaire offer asset holding and wealth structuring for corporate institutions and high-net- worth individuals to protect and grow their investments. Our guiding principle is to provide excellent personal service in clear and simple language. We provide corporate administration and trustee services for the business and investment needs of corporate institutions, wealthy families, and entrepreneurs. We work with clients from a range of businesses and backgrounds, including real estate, trading, retail, entrepreneurs, those with inherited wealth, and families that live, or have assets spread, across international boundaries. Jersey is a compelling jurisdiction in which to establish a new iGaming business, or to relocate an existing one to. It has no gaming duty, an excellent IT infrastructure, competitive licensing costs, and an advantageous tax regime. Furthermore, as a jurisdiction in which to base a business, Jersey’s reputation is second to none. The directors within our Jersey office are licensed by the Jersey Gambling Commission and are perfectly placed to advise on all aspects of your move to Jersey. From license application to company formation, we have all the necessary attributes to create and develop the environment to enable your iGaming business to thrive. With our full range of legal, corporate, financial, and administrative services we ensure that companies are managed effectively from Jersey including regulatory compliance and filings. A Jersey trust can play a vital role in wealth management, particularly with regards to estate planning. The essential benefit is that the settlor ceases to become the legal owner of the assets passed into the trust although he may still exercise influence over the use of the assets. Consequently, tax liabilities that may arise in certain countries as a result of owning assets may be reduced or avoided. Jersey trusts are tax transparent, there is no Jersey tax for non-resident beneficiaries on capital gains, interest earned on Jersey bank accounts, and non-Jersey sourced income. Our professional trustees work with your personal legal and tax advisers to ensure that your trust meets, as closely as is possible, your aspirations. Once you have set up your trust, you will be assigned an experienced client relationship manager who will have a thorough understanding of the trust and its purpose. You will also be introduced to a director of the trust company, who will actively monitor all transactions. We also provide services to corporate clients in connection with insurance company activities from Gibraltar. The intention of the Jersey Foundation is to merge the highly attractive features of both Jersey trusts and Jersey companies. 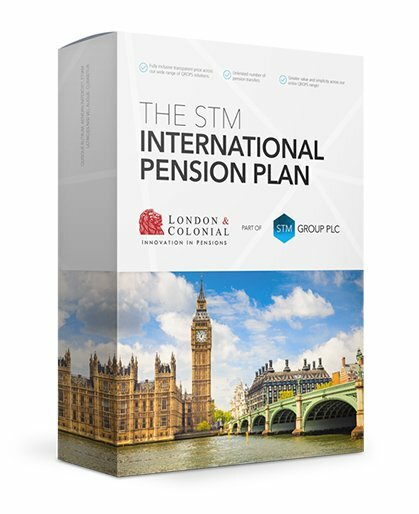 This product offers clients and advisers an alternative to using trust structures to hold and manage their assets in a jurisdiction which is widely regarded as the world’s premier offshore finance centre. Foundations can act as a holding vehicle and provide an orphan or independent structure. They also assist high-net-worth individuals with global asset management by offering succession, inheritance planning and wealth preservation, ensuring that assets have their management and control in a tax neutral jurisdiction.